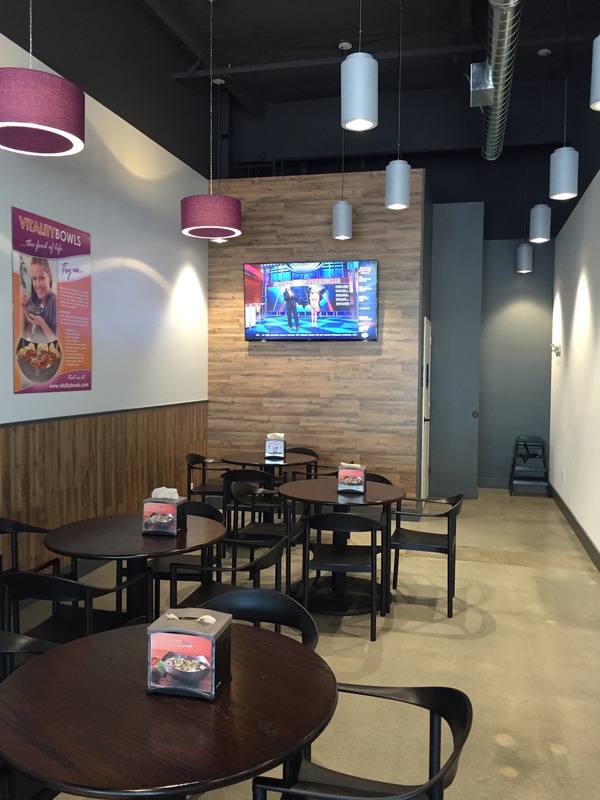 Vitality Bowls Pleasanton at Bernal Plaza opened in July 2015 as the company’s fifth location following the success of another Vitality Bowls in Pleasanton, located in the Stoneridge Mall. Bernal Plaza is a retail shopping center near a number of businesses and not far from Alameda County Fairgrounds. A beautiful city located in Alamada County, Pleasanton is known for hosting a number of well attended community events and concerts each year. 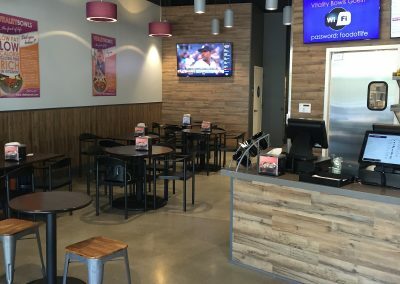 Local professionals love stopping by Vitality Bowls Pleasanton for a healthy salad or acai bowl. The Detox Bowl – made from a blend of Organic Açai, Almond Milk, Flax Seed, Kale, Spirulina, Bananas, and Strawberries; topped with Bananas, Blueberries, Almonds, Goji Berries, and Honey – is a local favorite. Customers also love the hot Panini, fresh juices and smoothies. 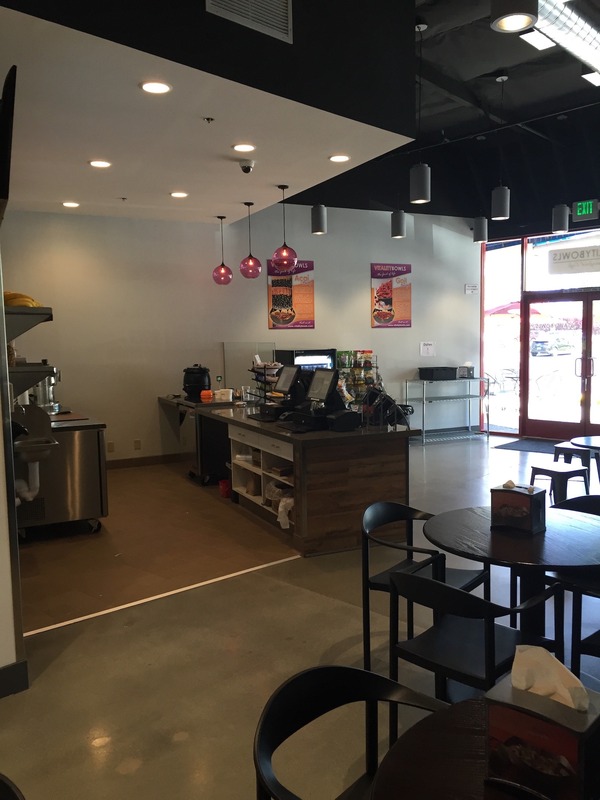 Vitality Bowls Pleasanton at Bernal Plaza also offers organic kombucha and cold brew coffee on-tap. 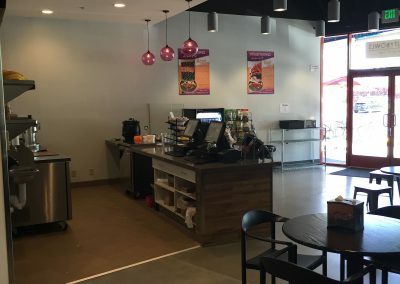 Vitality Bowls Pleasanton owner, Aaron Nichols, was working in marketing for top technology companies, including Google, when he was introduced to acai bowls through his involvement with the Brazilian martial arts sport, Jiu Jitsu. “In short, I LOVE this place. 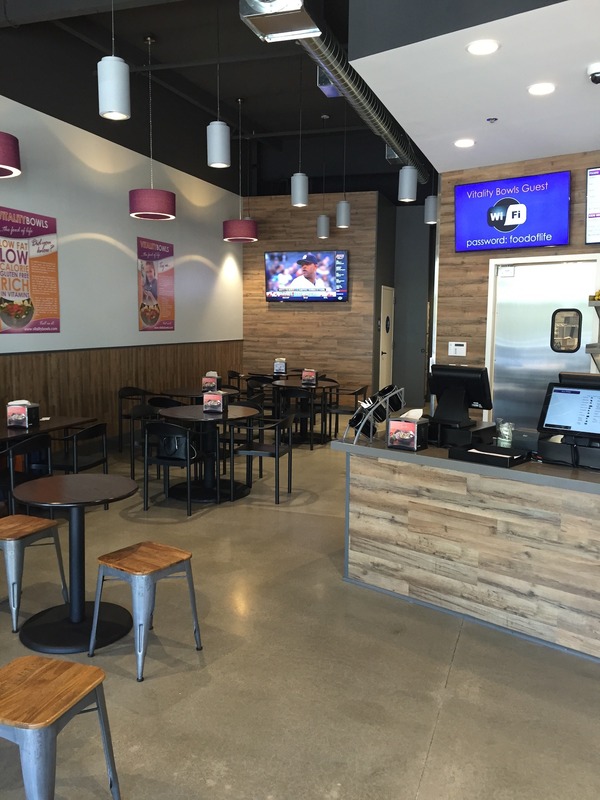 Very clean inside, yummy bowls and fresh ingredients! The new owner is extremely nice and welcoming when I go in there as is his staff. “When I’m in Pleasanton I always stop here. This Vitality Bowls is really nice. There’s a lot of seating inside. It’s close to the freeway too. So if your passing through on the 680 it’s very easy to stop here. This branch also has kombucha juice and cold brew coffee. I tried the kombucha juice and it was really good. I plan to try the cold brew coffee soon. 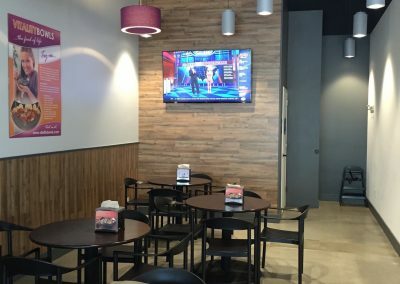 I usually order a juice or smoothie here. It always prepared perfect and tastes great. The staff is friendly as well.